If you’ve ever had to port out your mobile number or change providers, the relatively simple act of inserting a SIM card and getting your new plan to work can be easily messed up. Similarly, if you need two numbers, for business purposes or just for convenience, there have previously not been many dual SIM phones out there. If you’re a smart watch enthusiast, linking it up with your phone could also be problematic. In comes the ‘eSIM’ feature, and it’s the latest in technology made most popular by the newest iPhones. eSIM stands for ‘embedded SIM’ and simply removes the need for a physical SIM to be inserted into your phone. This is especially handy for those who like to change providers, or for those who simply can’t be bothered with the physical SIM card process. eSIMs also allow two numbers to be stored on the same phone. Unlike some dual SIM phones, both profiles can have numbers that are active at the same time, meaning you don’t need to switch between the two. eSIM also allows the connection between wearables (e.g. the Apple Watch) with the user’s smartphone. Previously, Bluetooth had to be used. eSIMs mean you don’t even need to change SIM cards when you’re overseas – simply find a compatible eSIM provider and off you go. eSIMs have been in existence in Australia since about 2015, with the Samsung Galaxy 2 smart watch being one of the first devices to have the feature. As with many other technological advents, Apple made the eSIM term a headline in in 2017 with its Apple Watch 3, and in 2018 with the release of its latest iPhones, which have the feature. eSIMs may also eliminate the need for SIM card slots, which can aid in water repellence and stop dirt from getting in the precious internals of your new $1,000+ device. So, how do you get your hands on this seemingly revolutionary product? You first need a compatible phone or watch, and then find a compatible provider that enables the feature. Below we’ve narrowed down some of the providers and phones to make the hunt a bit easier. Currently there are only a select few providers that offer the eSIM feature. The ‘Big 3’ in Telstra, Vodafone and Optus primarily use the service to promote synchronisation between wearables and smartphones, rather than dual SIM capabilities and other purported features. Telstra’s eSIM is called ‘One Number’ and is currently only available syncing with an Apple Watch and iPhone, as well as Samsung Galaxy watches and phones. At present, only postpaid plans are available with the technology, though prepaid plans are rumoured to be on the horizon. Telstra charges an extra $5 a month for the privilege of having eSIM. Telstra MVNOs, such as ALDI Mobile and Boost Mobile, do not currently have access to eSIM features. Vodafone’s eSIM is called ‘Number Sync’ and is available on the Apple Watch 3 and 4, as well as the new Samsung Galaxy watch in the future. All Vodafone postpaid plans can be added with an eSIM. The first three months are free in the form of a ‘subscription credit’, and after that you’ll be charged $5 a month for the privilege of having eSIM. Currently Vodafone MVNOs such as Kogan Mobile and Think Mobile do not have the eSIM feature. Optus calls its eSIM service ‘Number Share’ and is much the same as the other two telcos mentioned above. Compatible devices include the Apple Watch 3 & 4 as well as the new iPhones. The first six months are free, and after that users will be charged $5 for the luxury. As with other providers, it’s only available on postpaid plans with little information in the way of potential other plans it is coming to. Travel Overseas: There’s no need to hunt around for a SIM card if you’re travelling overseas; simply contact a provider over there and get setup with your eSIM. Keep your Australian plan as well; there’s no need to remove SIM cards. Link Your Smart Watch: Previously you had to link your smart watch to your phone via Bluetooth. Now you can accept calls on your watch when you’re out jogging or when out and about – leave the phone at home. Keep Business Separate: The dual SIM feature means you can keep two numbers on the same SIM and potentially turn off one number outside business hours, or choose to ignore that call. No clients getting your private number… handy. Get More Bang for Buck: eSIM allows you to potentially get a cheap data-only plan and pair it with a cheap unlimited plan. This could work out to be better value than if you just got calls, texts and data in one plan. These four reasons suit a variety of different users. From jetsetters to corporate types to penny pinchers and active Mums, eSIM can be useful for various walks of life; it all comes down to how you can find a use for it. 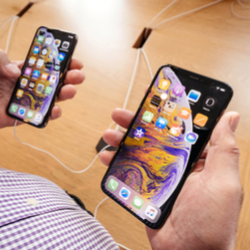 Although eSIM has already been around for a few years, the hype around the technology didn’t really start until the release of the new iPhones in September 2018. As such, devices with the capability are relatively rare. 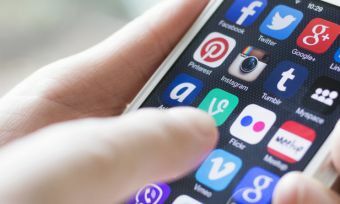 The technology presently extends to smart watches and some smartphones; mobile broadband dongles and other mobile devices currently lack the technology, for the most part. Note that these are not exhaustive lists; other phone or smart watch companies may add the eSIM feature, either in new phone iterations or in operating system upgrades. And even if you do have a compatible device, your carrier has to support it too, potentially making your options rather limited. Benefits of eSIM mainly concentrate around flexibility and convenience, while the cons are centred on the fact it’s a technology still in its infancy. Dual SIM capability without needing to insert a SIM card. Few providers offer it. Filter business calls outside business hours. Providers often charge a price premium for the service. Travel overseas without needing to hunt around shops for a phone plan – just purchase online. Relatively few providers offering it means your ability to use data and voice SIMs is mitigated. Leave your phone at home and go jogging with your smart watch. Few devices offer it – usually only reserved for premium devices. Potentially source a cheap data plan to get better bang for buck. A new technology contingent on manufacturers releasing operating system updates. It’s probably a no brainer that eliminating the need to insert a physical SIM card can be beneficial, especially for those unfamiliar with the process or for older members of the family. No more tri-cut SIM cards to make mistakes with popping out i.e. popping out a nano SIM card when you actually need a micro one – D’Oh! No more ‘correct porting procedures’ – just order a new plan online and you’ll port automatically. No need to wait for a SIM card in the mail. No need to go in-store and buy a SIM card. Traditional SIM card trays can be hard to open, often needing a pick or paper clip to pop open. Traditional SIM trays can also jeopardise water-tightness and dust resistance of your expensive device. Overall, compared to traditional SIM cards, eSIMs seem to trounce them in regards to convenience and practicality. Should I get excited about eSIM? eSIM is certainly an exciting idea in theory, but its execution in Australia thus far may leave a bit to be desired. Currently, only a few providers have enabled the feature, which narrows your choice of plans; they also like to charge a price premium for the service. Further to that, they seem to promote the linking of smart watches to smartphones, as opposed to all the other benefits eSIM can offer. eSIM’s future in Australia is bright, however.